I'm in a small critique group. We had a point when we had lost a member and Donna Benson contacted us. 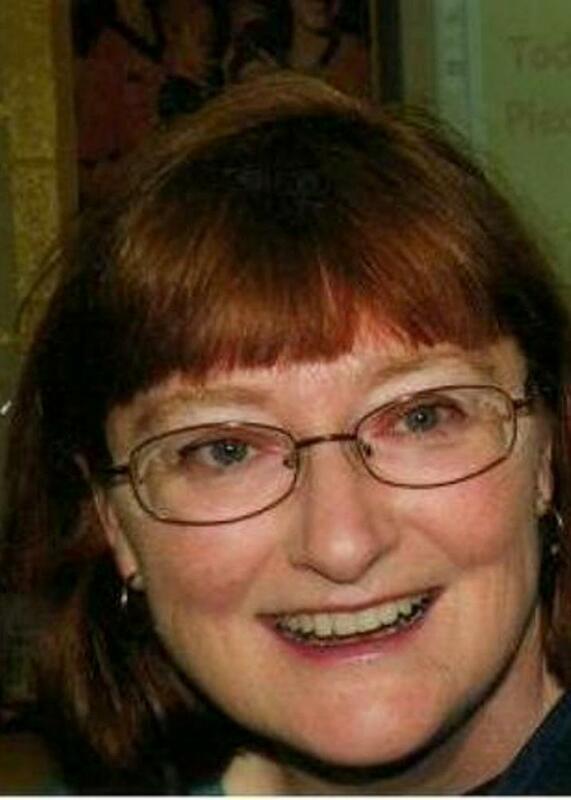 She's the author of the Sanctuary Series. Jeff Reynolds: Welcome, Donna. Let's start with how you came to Christ. Donna Benson: Hello. I can’t remember a time Jesus wasn’t there. He’s always been in my life from my earliest memories. I went forward at Easter when I was ten and was baptized. I have been learning and growing in faith and understanding since. JR: Am I correct that you're a truck driver? What's that like? How does it influence your writing? And any truck-driving stories you'd like to share? DB: Yes, my husband and I are what the industry calls a team. We’ve been driving for over 15 years. It’s a job traveling around the country, picking up and delivery freight. At first I struggled being gone weeks at a time. I would much rather be home. But we make a good living and my husband likes it so here I am. Everything we do influences our life. Traveling has given me a love for home, the people of this country, and knowledge we are more alike than different. JR: What led you to get interested in writing in general and your Sanctuary Series in particular? DB: I have enjoyed writing for years. I started with articles for my church blog. Six or seven years ago I had a dream. It was about a ranch in the mountains where Christians fled when violence against them began to spiral out of control. Our country was in turmoil everywhere. It was interesting…my husband also had a similar vision around the same time. We wanted a way to warm people of difficult times ahead. From there the fictional story was born. I finished the book five years ago and simply put it away because we felt it wasn’t time to do anything with it yet. Then last year we just knew it was time to publish. JR: Could you tell us about Flee To The Mountain, and your thoughts as far as follow-up books in the series? DB: The story is about the Hamilton family, led by God to establish a small mountain community they call the sanctuary. They set out to prepare their hearts for hard times. Large numbers of supplies, food, and other necessary items are purchased knowing they will have to help others. When the world falls into chaos and persecution runs rampant, the Hamiltons open their community to displaced believers. I have three other books in mind to follow Flee to the Mountain. The second is nearly completed. Rescue God’s Children deals with those who come under fierce persecution, detainment, or fall into the hands of evil people. God puts together a group of ex-military men to rescue some young people from places like a brothel and a school where the kids are forced to work in a community garden as slave labor. The entire series will deal with those people called by God to help others, traveling toward a refuge, or dealing with the evil around them. My entire focus in this series is to get Christians to prepare for hard times ahead. It is my belief God is warning His people to prepare and band together in order to survive. That's not to say He won't help us, but we need to do our part. We must prepare spiritually to deal with the escalation of evil around the world and begin to stockpile supplies of all kinds. JR: Your book is published by a self-publishing company which is linked with a major Christian publisher, one I had considered using. Could you tell us about how you selected them and the pluses and minuses of being self-published? 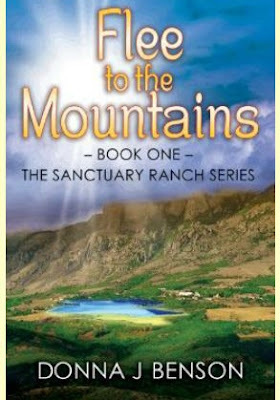 DB: Since Flee to the Mountains is a Christian book, I felt a Christian publisher would best fit my needs. To be honest, I don’t think I would use them again. They are very nice people, but I feel it’s all about money for them. They don’t really care about the books or the authors…at least that is my impression. I have found if you plan to self-publish, it’s best to find the least expensive with the best quality. I’m not sure there are any pluses to self-publishing. The minuses are promotion and marketing, though it’s my understanding regular publishers don’t do as much as they used to. Many bookstores will not carry self-published books. That’s a huge minus. You may have the best written book on the planet, but chances are slim most people will see it. In my case, my book is a ministry. So it’s never been about making money. I give them to people who I believe will benefit from them. But people can buy them online at Amazon or Barnes and Nobles. JR: You're a member of the ACFW, and also a member of my small critique group. 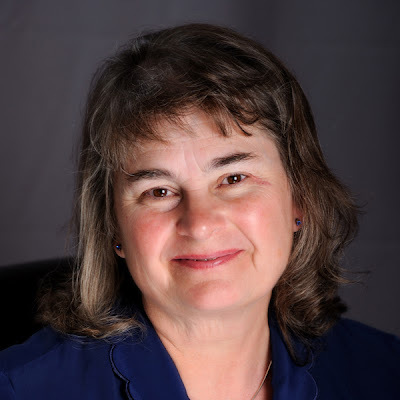 How has your involvement with the ACFW and the group helped you as a writer? DB: Any time we open ourselves up to others we can grow...at least when those people have a heart for God and try to help you. It was hard for me at first to receive from them. My books are my babies and I tend to hover over them. But I believe the groups are helping me. My only hesitation is changing my writing to the point it is just like everyone else’s. God made us individuals and unique. The same is true for our writing styles. I want to incorporate some of the techniques I am learning from my critique partners, but I want to maintain my uniqueness as well. JR: What influences have you had both as an author and otherwise which have shown up in your writing? DB: I used to read in all my spare time...now I write. I enjoy a great many authors. Dee Henderson, JD Robb come to mind first, but I have a huge library of both Christian and secular books. (I like to actually hold the book I read.) Funny thing is before I started writing I never paid much attention to how it was written. Now I notice things I never saw before. To be honest, I'm not sure how much any one of them has influenced me though. 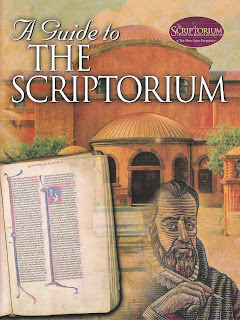 I am a believer in Jesus to the foundation of my soul and I incorporate that into my writing. If my work does not challenge others to live a Godly life and share the message of the cross, I am a failure. On the flip side, if even one person reads my work and it helps them in their personal walk with the Lord…I am a success. 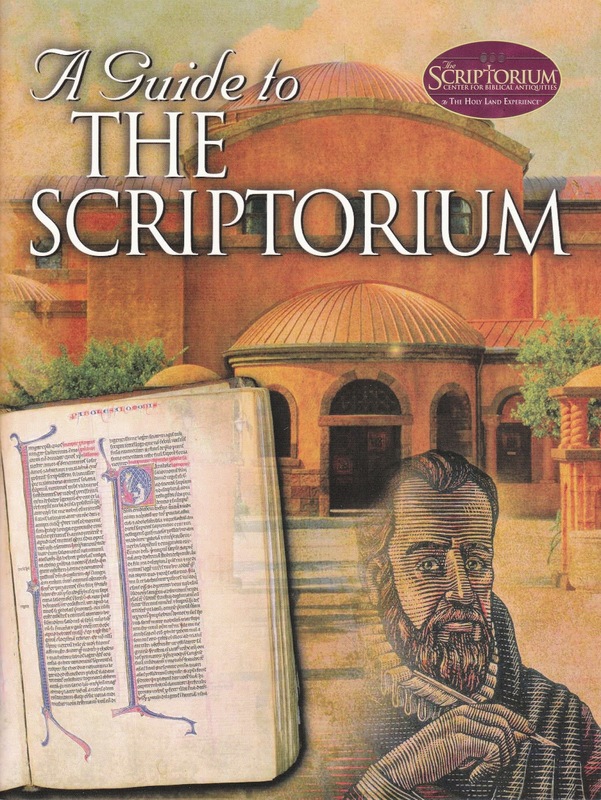 JR: What advice would you give a young Christian interested in writing? DB: Start writing from your heart. Join a writing group, take some classes on writing and read, read, read different kinds of books. 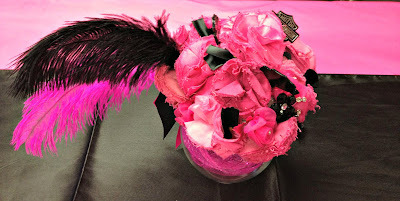 It will help you establish your own style and find your area of interest. And don’t give up. God give each of us gifts. If one of yours is writing, you must use it. JR: Thank you for your time. Is there a webpage people can keep up with you on? My mind is still all a-tumble from lack of sleep, information overload, jittery nerves, starstruck wonder, and meetings with so many wonderful people. But since my turn to post comes so quickly after the annual conference, how could I not blog about highlights? The conference started for me on Wednesday with the opportunity to drive faculty from the airport to the hotel. Along with a couple of agents, I drove Jill Williamson, a friendly and energetic author of young adult speculative fiction. I also drove Kathleen Y’Barbo Turner (bestselling author!) and her husband. My jitters quickly disappeared with her and her husband’s friendly and easy-going personalities. She brought a copy of her new release to give as a thank-you to whomever drove them to the hotel. I about drove off the road when I realized that she meant me! She even autographed it for me! I couldn’t help myself…I gushed all over her. On the first *real* day, I walked with great trepidation into the first-timers orientation. True to my introverted nature, I’m much more comfortable with a small group than a large crowd. Judging by the expressions of others, many felt the same. There were some in attendance I knew from online interactions, but I wasn’t sure I would be able to find them in the crowd. I had also encountered some Serious Spiritual Warfare (yes, with a capital S) earlier in the week that had left me rattled and doubting. You may know that sort of nervousness…clutching your bag as fear clutches your throat. I met a couple of people in that session, and we talked generally about the logistics of the conference and our genres. After the session, I stood in the common area, talking with another attendee. One of the first women I spoke with walked up to me, touched my arm, and told me that I had a beautiful and kind spirit about me. I was floored. After the spiritual attacks earlier in the week and all the misgivings and grief that resulted, the Lord knew I needed that bit of encouragement. Isn’t He wonderful to provide just what we need when we need it? This angel also invited me to go to lunch with her, encouraged me to talk to an agent, and introduced me to her editor. I also re-connected with a writing friend from the Indianapolis Christian Writers Conference and got to know many new published and pre-published friends. I was incredibly impressed by the general conference atmosphere of serving and seeking the Lord, a ministry through words. It’s the power of story to speak truth into reader’s lives. I was honored to be a part of it. Q4U: How did God meet you at the conference? The first weekend of August at the ACFW Indiana meeting, I offered to read and review John Faubion’s debut suspense novel, “Friend Me”. I weary of reading books that aren’t compelling. "Friend Me" was a surprise and a pleasure. This satisfying read delves into the effects on marriage when a husband and wife separately seek online friendship rather than each other. Already stressed by overwork, loneliness, and low self-esteem, what starts out innocently develops into a deadly scenario. We’ve all thought of the scary possibility of someone taking advantage of our information and invading our lives. With real-life progress in facial recognition, realistic avatars, privacy invasion via computer, and the popularity of Facebook or other networking systems, this book is timely and cutting edge. Faubion creates a scenario with a hint of Hitchcock. I must warn you that the story will leave you uneasy and make for a night of unrest if you don’t read all the way through. Well told, it moves forward to a conclusion that brings a measure of relief, but don't think you'll soon forget this story. I am slightly conflicted about the quickness with which forgiveness is offered. If this genre was women’s fiction, I’m sure this part would have been handled differently. As a work of suspense there are other priorities. Still, the author does address the issue by having a character consciously choose to lean on God to supply forgiveness that doesn’t come easily or naturally. I have experienced God’s sufficient grace and believe this could happen. A non-believer may have a harder time swallowing it. Instead, I pray they would be impacted by God’s power. Even so, this is a fine read. 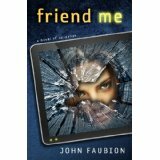 “Friend Me” by John Faubion is available for pre-order from Kindle ebooks on Amazon and set for release on February 4, 2014. If you want to meet Hoosier authors, such as John “J” Faubion, make a point to attend meetings of the Indiana Chapter of ACFW. Talking with other writers is encouraging and reading their work is inspiring. I'm looking forward to seeing old friends and making new in two weeks at ACFW Conference in Indy. I had my book launch for The Pastor's Wife Wears Biker Boots in August and had a glorious time with friends and family. 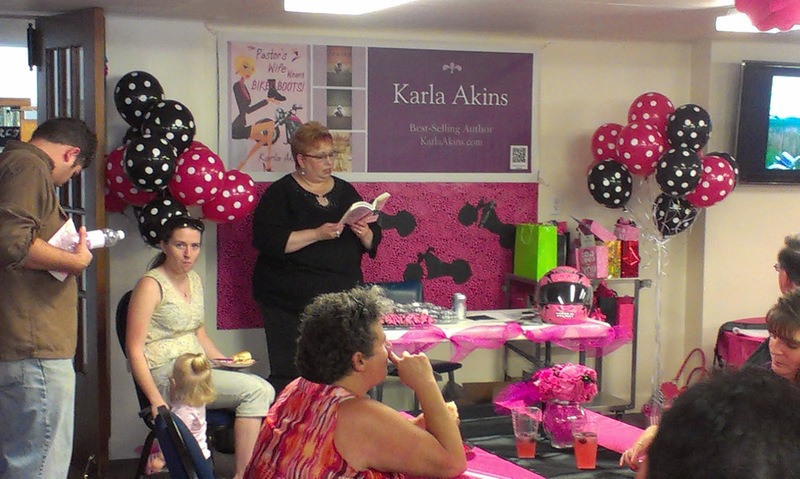 The dream of my book launch party wouldn't have been reality without a lot of help from friends. It's hard for me to ask for help, but I'm extremely blessed to have friends who willingly gave up time and energy to support me. I did two launches. One online and one in "real life." For the 3-D (real life) launch, the ladies at my church helped me host a ladies retreat. Everyone that attended got a swag bag and we gave away prizes every thirty minutes or so! I invited Shelley Wilburn to speak at the retreat and her husband to speak on Sunday morning. They have a unique ministry that you can read about on their website, Where2.org. The refreshments were made by my friends (I provided the supplies except for the cookies, they were a gift). And I rented a popcorn machine for the weekend -- it was a hit! Since it was a weekend rental, we were able to have it for Sunday and gave away popcorn after church. The kids loved it. Begin planning months in advance. Decide early what you want to give away as prizes. I mostly gave away bargain books from Christianbook.com and keychains at the retreat. At the book launch party the giveaways were mostly wax warmers and candles, and free copies of my book. Realize that no one is as excited about your book launch as you are. Don't bring it up in every conversation. Some people will be excited. Be excited about those people! No one owes you a read. Just because you send an invitation doesn't mean people will come. Nor are they obliged to. Get over it if they don't show up and focus on those who are there. Don't let their absence steal your enthusiasm or joy. Think of a phrase to write in your book when you sign unless they have their own phrase they want to use. Be grateful for friends. Show them you care. You need as many people to help clean up as you do to set up. Have change available for cash purchases. Choose which passages of your book you will read aloud but keep it short. Again, no one loves your book as much as you do. Take time at the retreat to thank those you need to acknowledge. I gave "my posse" mugs with the theme of the retreat on them. And I gave each family member something unique that they would appreciate. Nothing fancy or expensive, but it let them know I appreciate their support. A writer's family sacrifices for the dream, too. What made the book launch a success? Fellowship with friends and family. That's the bottom line for me. The people I loved shared my exciting day. I am blessed indeed! 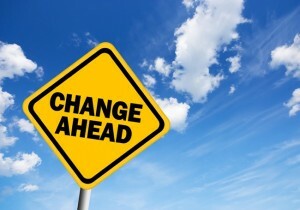 Well, most of you probably do not know that I have had a recent life change in the form of a job change. It is because of that job change that I will not be able to run for VP of our Indiana Chapter in 2014 (nor attend the national conference for that matter). In fact, this job change will prevent me doing almost any writing until the end of the year (mostly because of the extensive focus on "mastering" the new job and all that it entails). All of this combined should be an overwhelming bummer. job...that I would have any time to write anytime in the future (well, at least into next year). Now, after being in the job for 4 weeks, I can see that eventually (and I do mean probably sometime in the first quarter of next year) that I will have more time to write than when I was in my previous job. Granted, this all assumes that I'm full court press on mastering everything until that time. The point is, God has shown me (once again) that although he has called me to write, it won't be right now but it WILL be at some point. So, for those of you that find yourselves in a primary job that is not being a writer, pray and hold the Faith that God will open the door for that activity to happen (it just may not be sooner than later). What I can do right now (even with the new job) is spend my "spare" time reading! Reading fiction, books on writing, etc...so that when the time comes to write again, I have more knowledge about the craft of writing filed away in my writing toolbox.